Here are some facts about the London Underground. 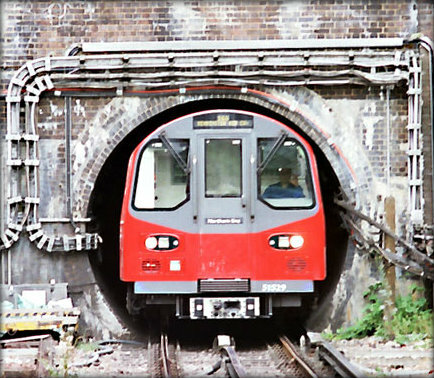 The London Underground (or Tube) is the world’s oldest and largest underground rail network. It serves 287 stations on 11 different lines and covers 250 miles of track. The first line opened in 1863 and ran between Paddington and Farringdon, although plans for an underground railway had been discussed for several decades before the opening. The wooden carriages were lit by gas and hauled by steam trains. Despite the name, only about 60 percent of the system runs under the ground. Some people have suggested that, because of poor air quality, travelling below ground in the London Underground for just 40 minutes is as unhealthy as smoking 2 cigarettes. The first escalator on the London Underground was installed in 1911 at Earl’s Court station. A man was hired to ride up and down the escalator all day to show customers it was safe. The Underground has been featured in dozens of TV shows and films, including two James Bond films, Die Another Day and Skyfall. The 2004 horror film Creep takes place almost entirely on the Underground. The famous London Underground map was designed by Harry Beck, who was paid almost nothing for his now famous design. Beck based his design on an electrical circuit diagram. The journey between Leicester Square and Covent Garden is the most popular one with visitors to London. However, the distance is only about 200 yards and the journey takes less than 20 seconds. To take on the London Underground Challenge you must visit all the stations at least once in the shortest time possible. The current record stands at 16 hours and 29 minutes. There are many reports of the London Underground being haunted. Some employees have refused to work at Covent Garden station as it is supposedly haunted by a man in evening clothes. During the Blitz in World War 2, thousands of lives were saved when the stations were used as air raid shelters. What next? Find out more about London by visiting our London resources page.